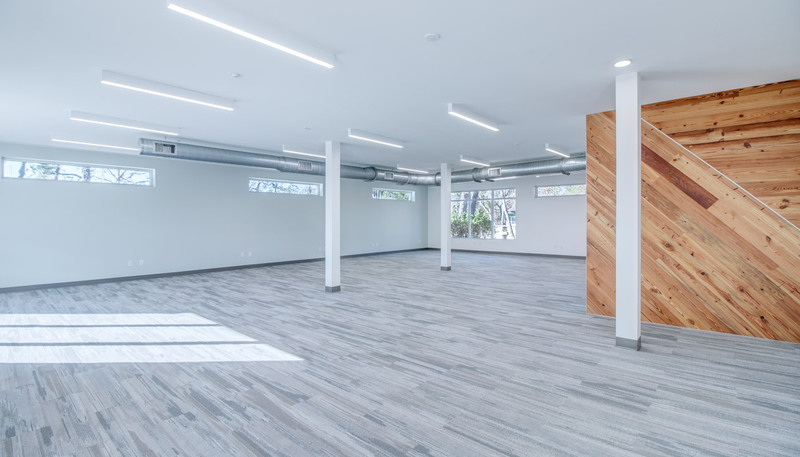 WHAT IS IT: A newly-renovated office building with 3 separate office suites. WHAT’S COOL ABOUT IT: Full renovations were recently completed in February 2018, making this space like-new with ultramodern features. 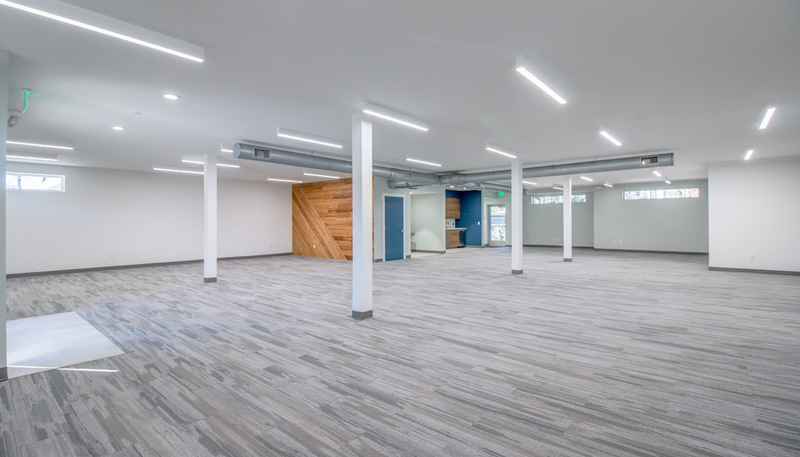 The 1090 building offers businesses multiple floorplan options, custom build-outs and plenty of on-site parking spaces, all in a highly-visible location off of NW 8th Avenue. 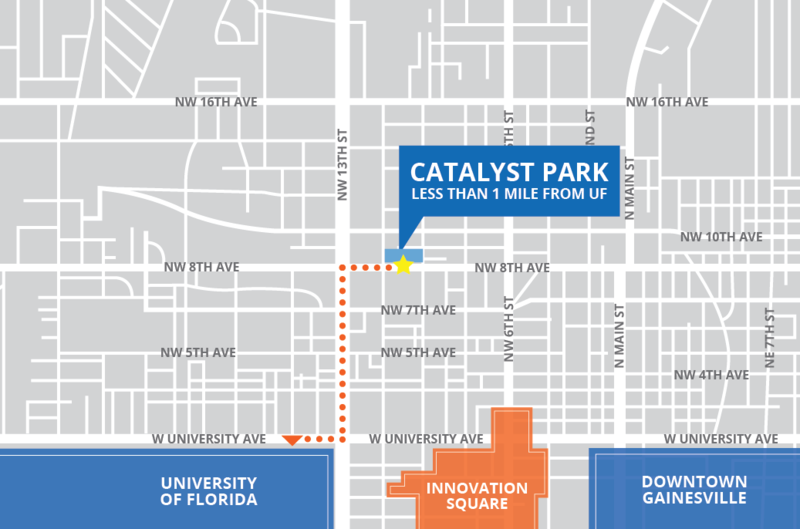 WHERE IS IT: Catalyst Park, a quiet office and research park located just a block away from downtown Gainesville and the University of Florida campus. AVAILABLE SPACE: The 1090 Building is leased. 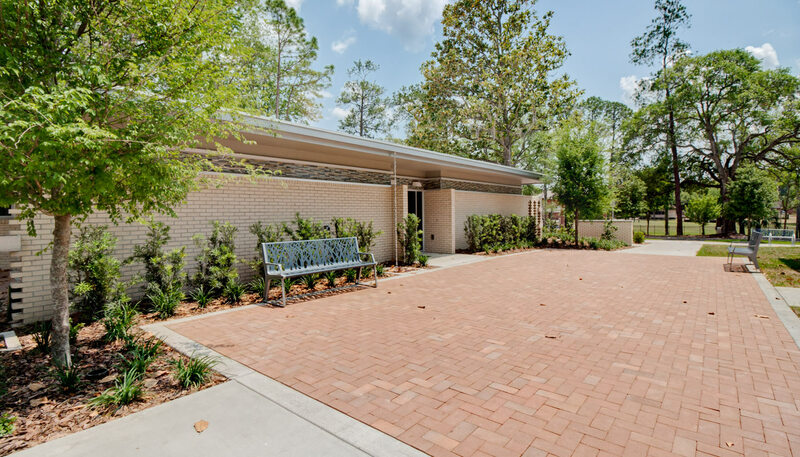 Click here to see Trimark's current selection of available commercial real estate in Gainesville. 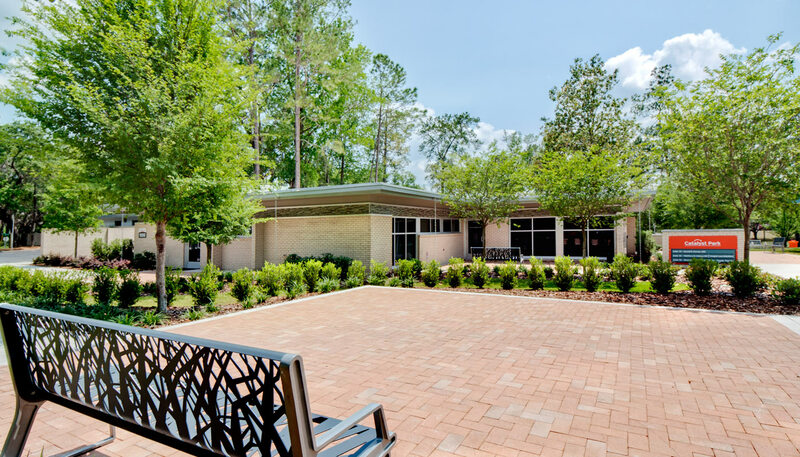 The 1090 building recently completed full renovations in February 2018. 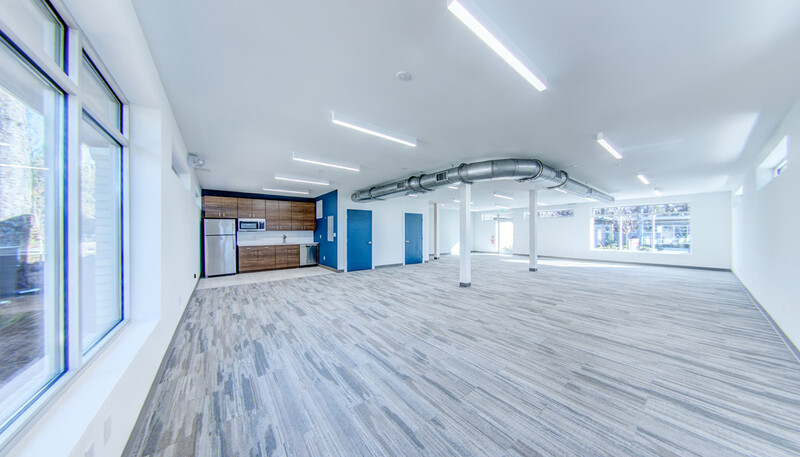 Trimark’s award-winning design and development team transformed the outdated building's three offices into ultramodern, open work spaces with intricate design details such as exposed ductwork, modern appliances and lots of windows for plenty of natural light. The 1090 building is located at Catalyst Park, a quiet office park that is home to a diverse assortment of businesses. 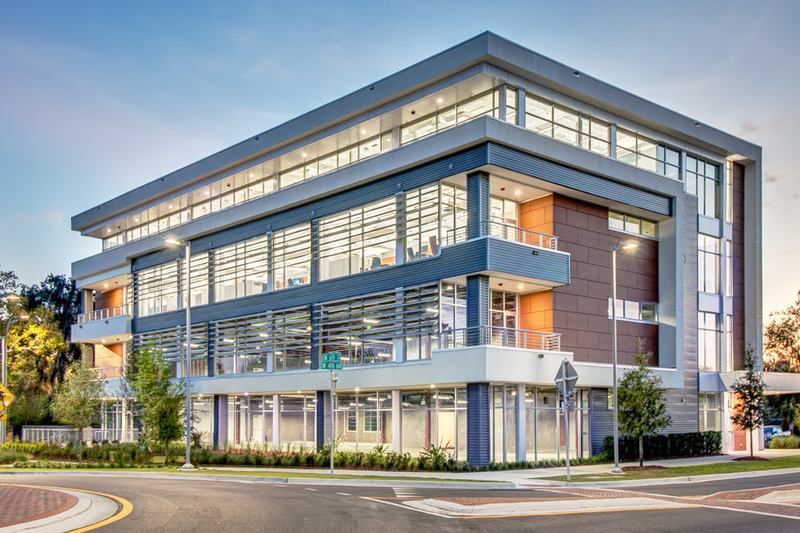 Employers who position their companies in the 1090 building will benefit from a location just a few blocks away from the University of Florida campus, downtown Gainesville and the Innovation Square business community, but in a more peaceful, less congested setting. The 1090 building boasts a highly-visible location off of NW 8th Avenue, ensuring tenants' business signage will be easily seen by foot and drive-by traffic. 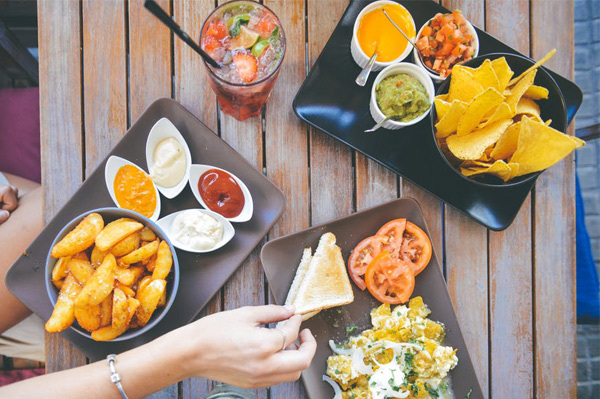 1090 employees will be able to walk or hop in the car for a convenient 1 to 2 minute drive to dozens of popular lunch destinations and coffee houses such as Bento, SweetBerries and Starbucks. 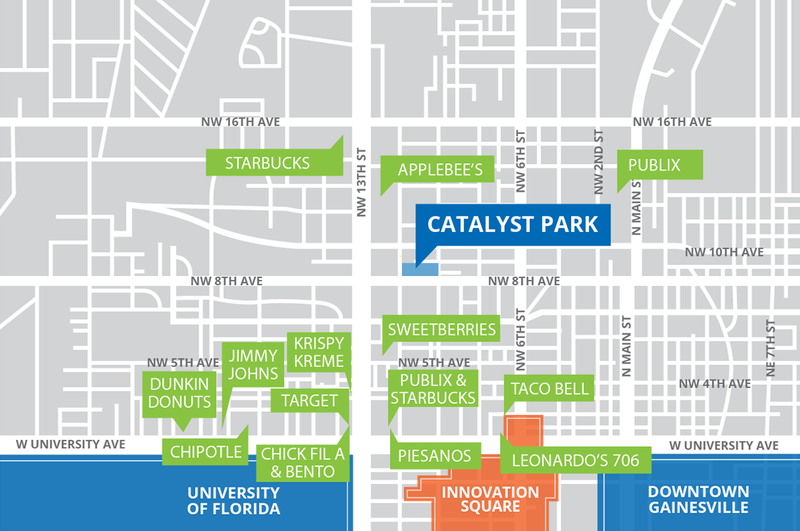 1090 is located in Catalyst Park, a research park filled with a variety of businesses. 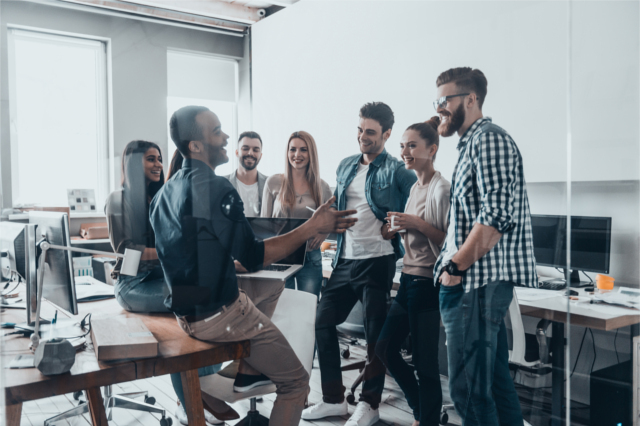 Just down the street, dozens of progressive start-ups and publicly traded companies working in the Innovation District and downtown Gainesville create plenty of opportunities for easy networking. Over 6,000 of the sharpest minds in Florida graduate every year from the University of Florida. 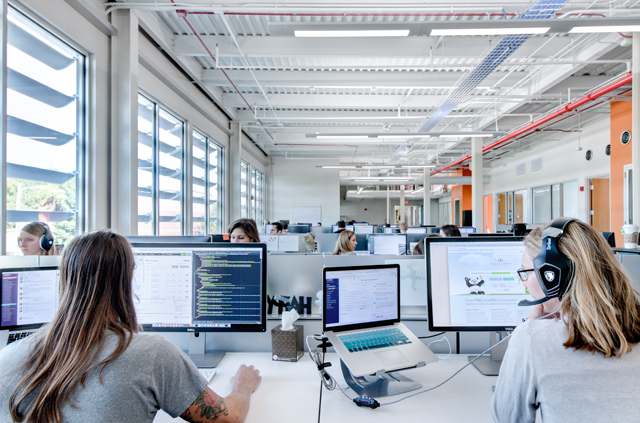 Catalyst Park is positioned in an ideal location just steps away from campus, making it easy for companies to recruit these graduates into full-time employees. 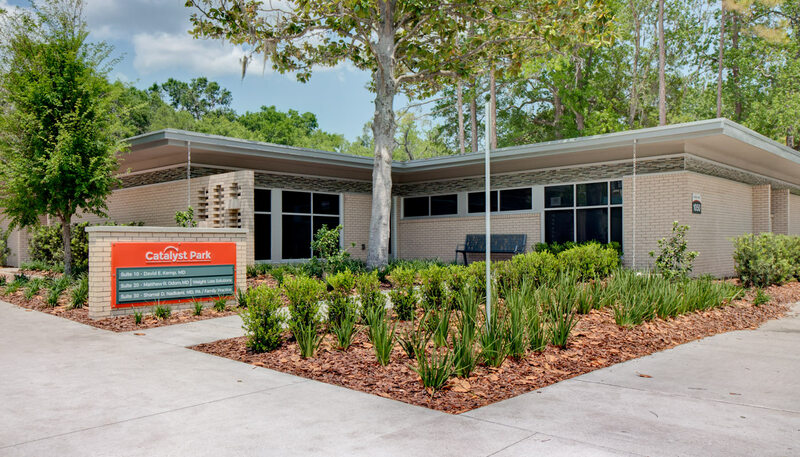 Tucked away under a canopy of oak trees in a peaceful office park lies the 1090 Building, a recently-renovated office building now available for lease for businesses interested in positioning their company in an ideal location just a few blocks away from the University of Florida campus, downtown Gainesville and the Innovation Square business community. 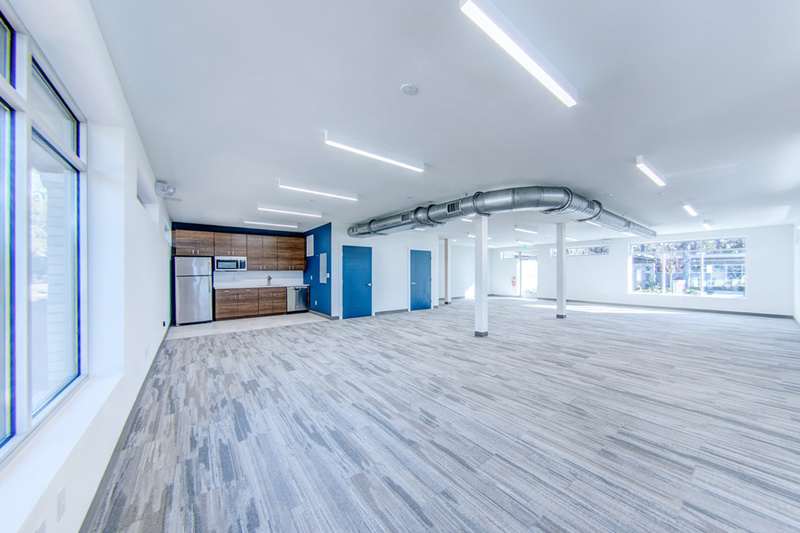 The 1090 building contains three separate office suites of varying sizes, so businesses can choose the amount of space that fits their company’s needs. Lease the entire building (5,920 sqft), Suite 10 (1,642 sqft), Suite 20 (2,660 sqft), Suite 30 (1,617) or a combination of two units. 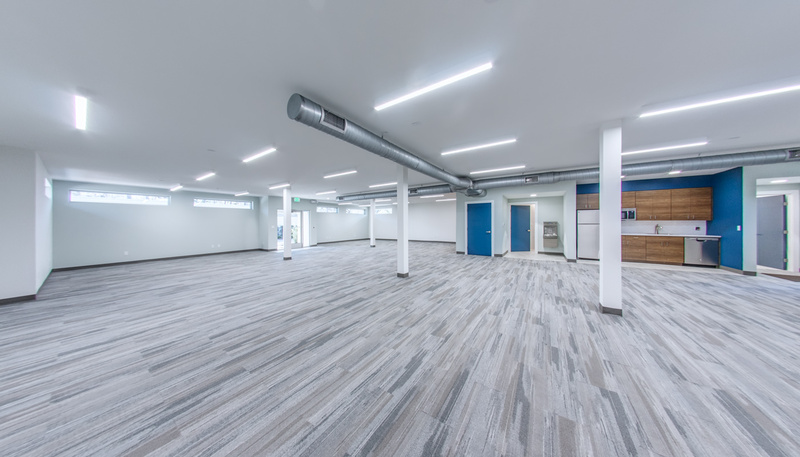 The space is ideal for businesses ranging in size from 8 to 30 employees. 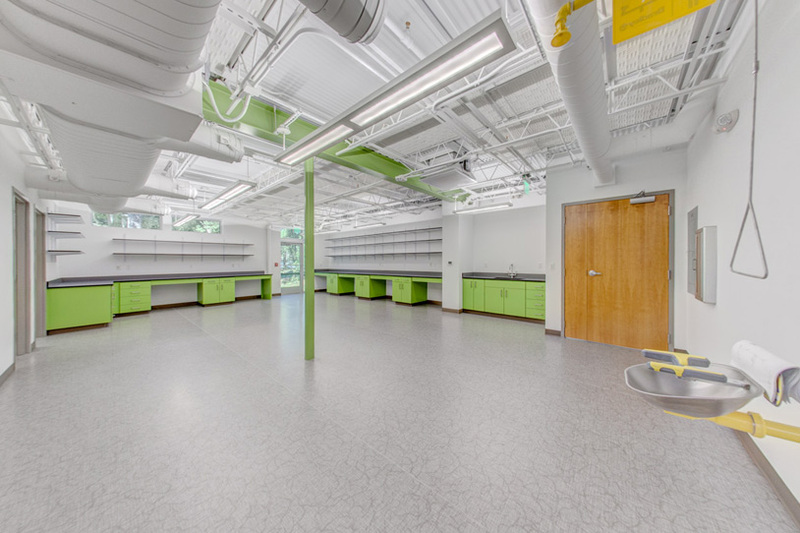 The 1090 building recently underwent full renovations that were completed in February 2018, so the space feels as if it were newly-built. 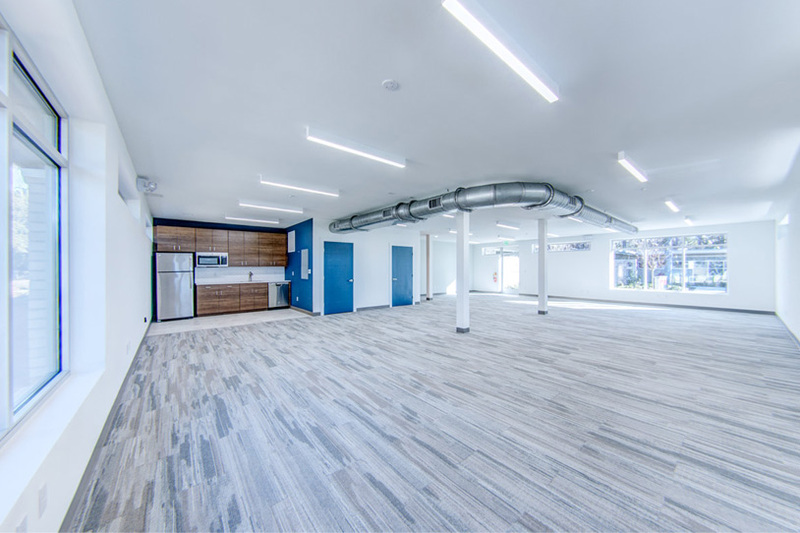 Trimark’s award-winning design and development team completely updated the space, and added brand-new flooring, paint, and bathroom and kitchen appliances. 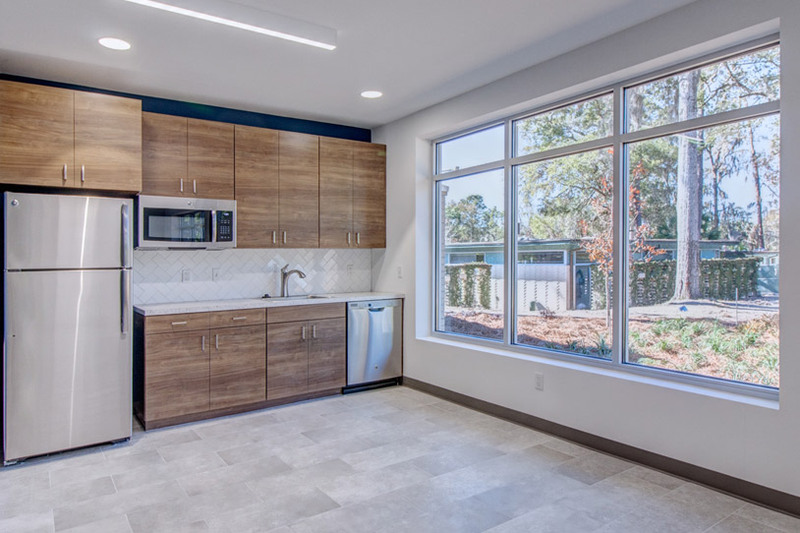 Each space features lots of windows for plenty of natural light, as well as unique design features such as exposed metal ductwork and accent walls featuring reclaimed wood from dilapidated historic Gainesville buildings. 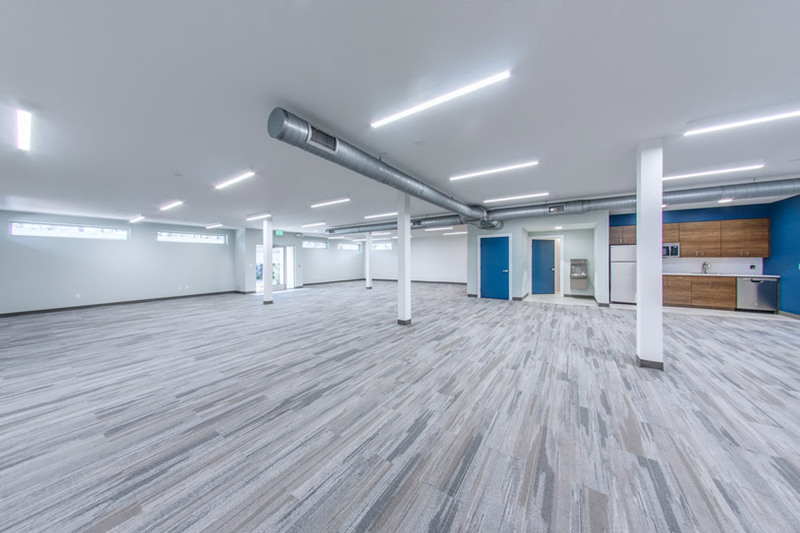 Each office space currently features an open-plan office layout, but Trimark is willing to customize the spaces to fit the business’ needs by adding private offices and conference rooms. 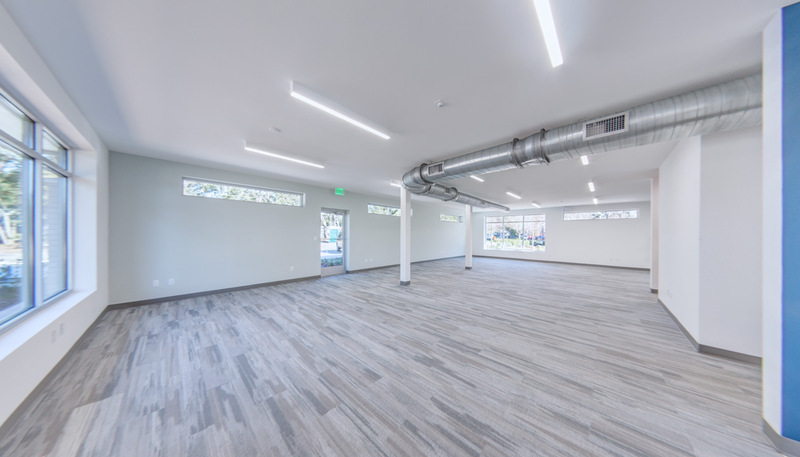 In addition to its striking interior features, the 1090 building features ample on-site parking spaces for employees and first-class landscaping that is fully maintained by the landlord. Trimark Properties knows a company’s office environment shapes its success. 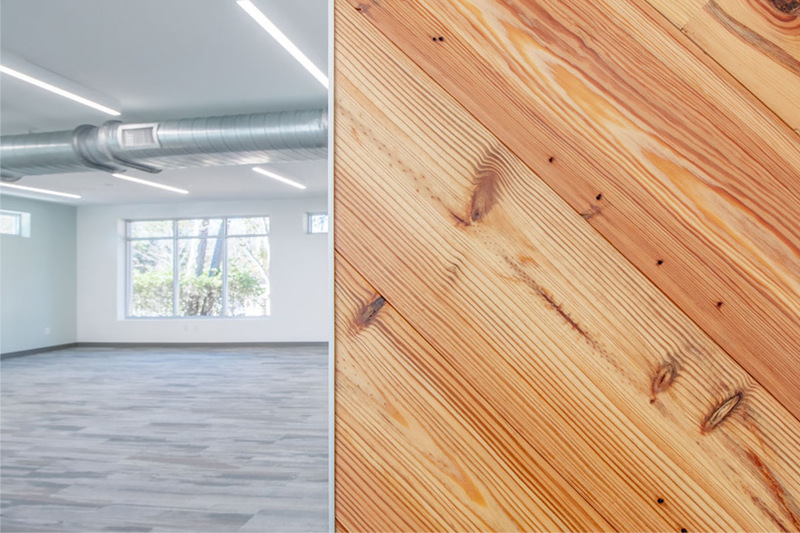 The office space you lease from us is not just another attractive building – it inspires productivity, creativity and collaboration, and acts as a representation of your firm’s values and culture. Our high-quality designs and attention to detail ensure that your company’s first impression on potential clients, employees and investors is one that will confidently stand out. 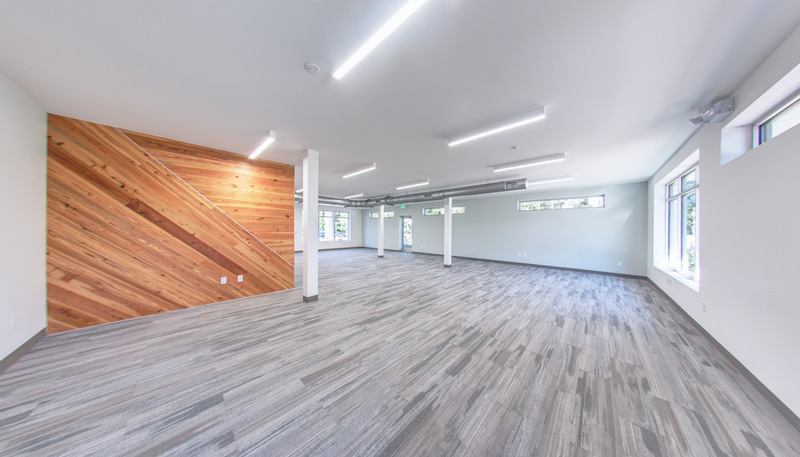 The newly-renovated 1090 office building is comprised of 3 units, totaling up to 5,920 square feet. 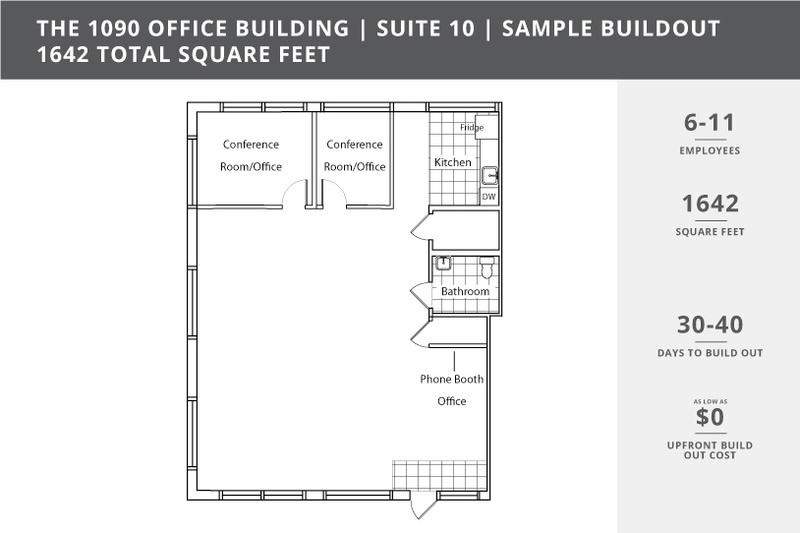 Trimark will customize the floorplan option chosen by the tenant to match their company's specific business needs. ALL SUITES ARE CURRENTLY LEASED. THINK THIS IS THE OFFICE FOR YOU? 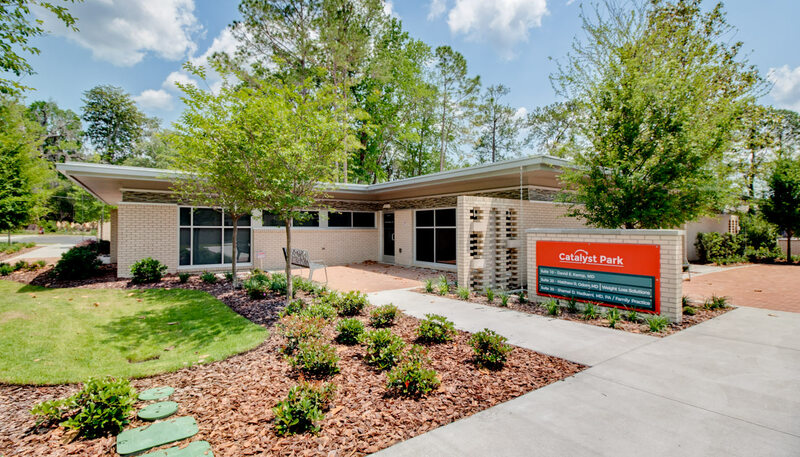 The 1090 Building comprises of 3 newly-renovated, modern office suites in the peaceful Catalyst Park office park, located just a few blocks from downtown Gainesville and UF. Multiple floorplan options and custom build-outs available.